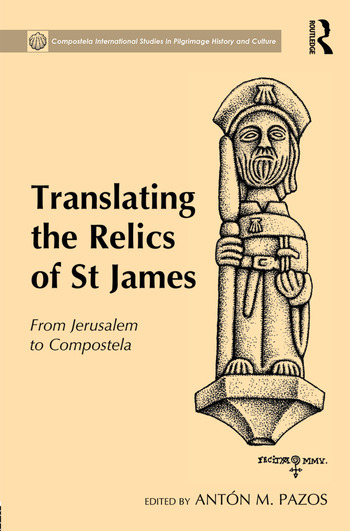 Analysing the narration of the translatio of the body of Saint James from Palestine to Santiago de Compostela and its impact on the historical and biblical construction of Jacobean pilgrimages, this book presents an interdisciplinary approach to the two cities at the centre of the legend: Jerusalem and Compostela. Using a range of political, anthropological, historical and sociological approaches, the contributors consider archaeological research into Palestine in the early centuries and explore the traditions, iconography, and literary and social impact of the translatio on the current reality of pilgrimages to Compostela. Antón M. Pazos is Deputy Director of the Instituto de Estudios Gallegos Padre Sarmiento, a Research Institute of the Spanish National Research Council (CSIC) in Santiago de Compostela.